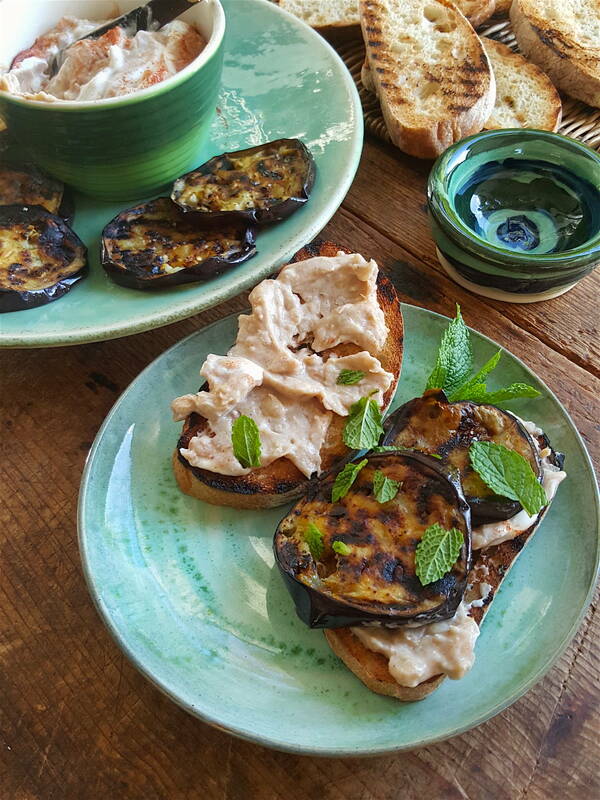 Cannellini Bean Dip on grilled bread with slow-roast tomatoes. Mmmm. This is a quick dip using canned cannellini beans. It’s handy to help sandwich ingredients stick together, or spread it on grilled or toasted bread and stack with your favourite ingredients. 1 Put the beans in a bowl and mash with a fork or use a stick blender; keep them a little lumpy. Mix in the rest of the ingredients, and have a taste, adding extra salt or lemon juice if necessary. 2 Serve the dip as is, or swirl in a spoonful of yoghurt and dust the top with smoked paprika. Alternatively, stir through chopped parsley or coriander to taste. 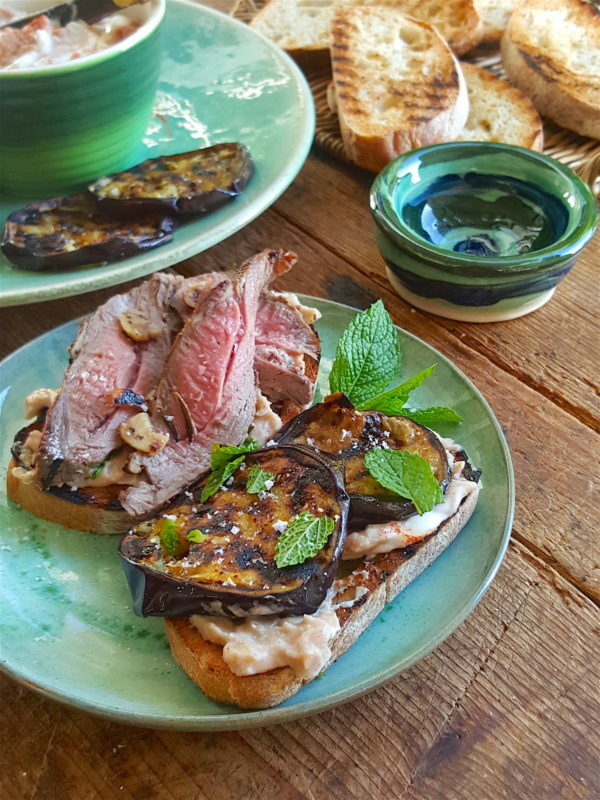 Top with char-grilled eggplant or barbecued lamb, or both!